1. 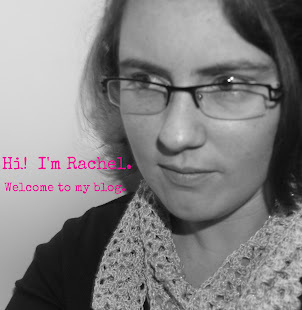 If you are a blogger, have you noticed how many of the great linkys happen on Wednesday? I mean, Wordless Wednesday, What I Wore Wednesday, Works in Progress Wednesday, plus all the awesome craft parties that are on Wednesday? I could spend an entire week getting posts ready for Wednesdays. 2. How many other crafters out there have procrastinated to the point where they have about a half dozen (or more) gifts that they intended to hand make and they only have mere days to finish everything? 3. Speaking of which, I am attempting my first complete quilt. (I've started others in the past but took on too much too soon.) This one is a simple three piece quilt: back, batting, and one non-pieced non-blocked non-anything piece of fabric. It is going to be a Christmas present for my daughter and I am determined to have it finished. 4. I finally found a pair of gloves for Catherine today. It has been oddly difficult. I wanted her to have actual gloves, not mittens. I also didn't want to spend much on them, because let's face it, she's two and will probably lose at least one before the end of the weekend. I couldn't find any small enough for her at Target, Wal-Mart, or various dollar and thrift stores. (All the ones on Amazon I thought were pretty expensive.) Where did I find them? At Claire's. 5. My hubby and I have been playing Mario Galaxy lately. I've really enjoyed this because the second player doesn't have to have much skill to have fun. Which is great, because while I enjoy video games here and there I'm the player who is constantly running into walls. 6. Yikes, I almost didn't include any pictures today! I can't do that! 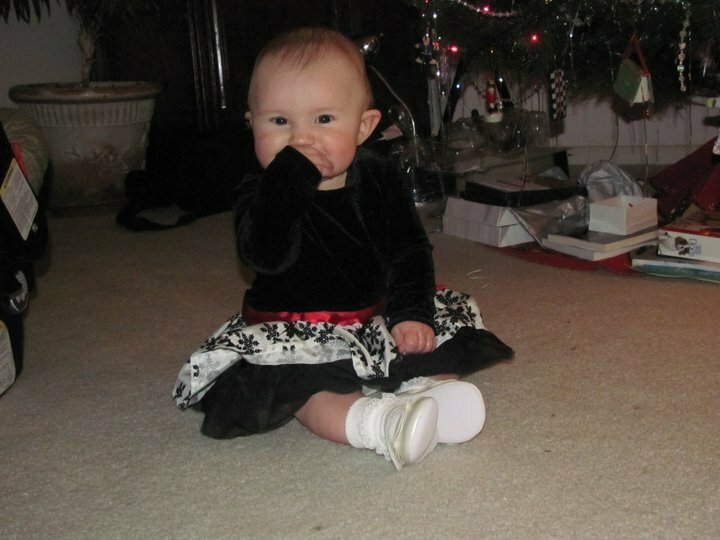 Here's a picture of cuteness from Christmas 2010. When I look at this picture and then at the toddler climbing on the couch I almost can't believe it! 7. My Etsy shop is having a sale today through Sunday! December 14-16, 2012 enter the coupon code GOOSIE15 to receive 15% off! Any orders will be mailed Monday and then the shop is closed beginning the 18th until January. (There are also some items that are not listed that you could purchase -- some of them can be found in my Facebook albums here and here.) While it is probably too late for a custom order to show up under your Christmas tree, if you want something that you don't see just ask--many items aren't photographed and I just might have something for you! 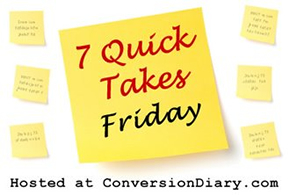 As always, a big thanks to Jen for hosting these Quick Takes! Now that's the kind of game I could play! I am always running into walls, flipping the car or shooting the good guys whenever I play with my husband. Which may be why he doesn't ask me to play often. I got a lot of crafting done this week but am still putting off the quiet book for my niece. I just can't get motivated to finish it. Ugh.